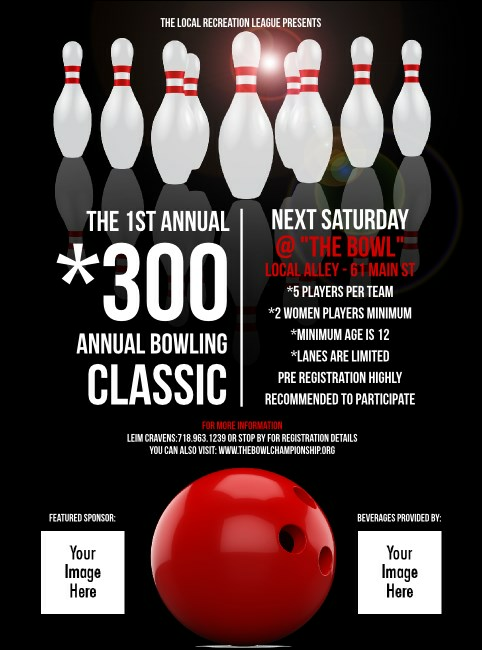 Increase your pre-event advertising score when you print Bowling Classic Flyers and post them in advance of the tournament. Each sharp Flyer features a pure black background with ten white pins and a shiny red bowling ball. Upload two of your own unique images to the template to maximize ad space on these fine Flyers. TicketPrinting.com helps make advertising a ball!